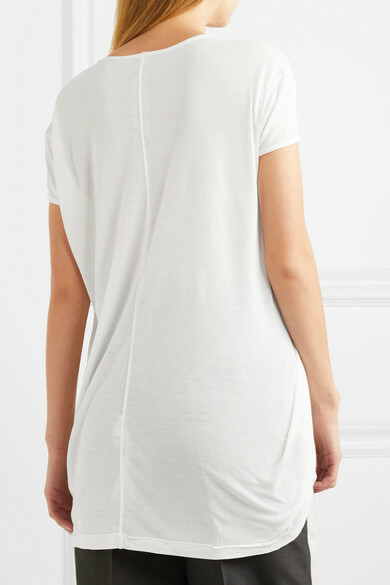 Rick Owens' T-shirt is the kind of effortless staple you'll wear no matter the season. 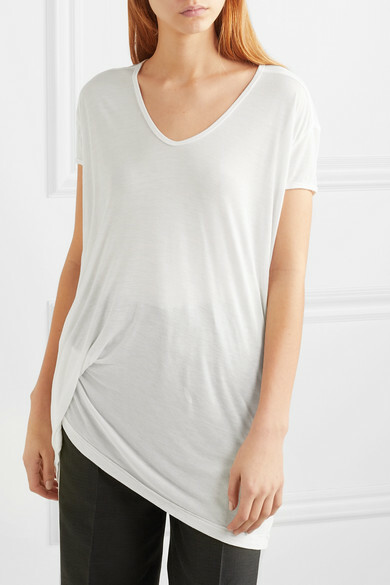 Cut for a slouchy, loose fit and draped at one hip, it's made from jersey woven with a hint of soft silk. 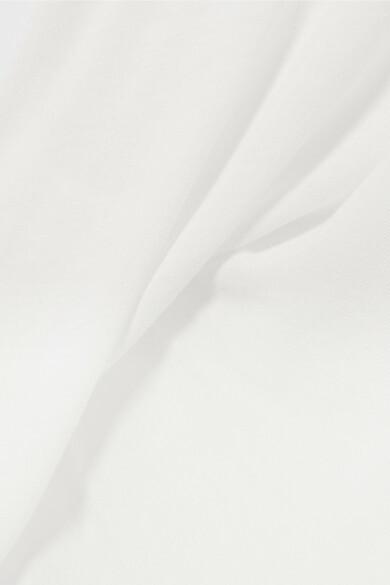 It's not completely opaque, so you may want to layer it over a tonal tank or triangle bra. Shown here with: Rick Owens Cardigan, Rick Owens Pants, Rosetta Getty Slides, Givenchy Pouch.